Some of the central hurdles that small business owners face involve customer acquisition, proper budgeting, employee management, and risk reduction. As the engine behind your enterprise, it’s up to you to facilitate a steady stream of revenue by attracting a loyal client base. However, no matter how many customers you draw in, small business growth cannot occur without a watchful eye on the calculator. With a large number of small businesses attributing their demise to issues relating to cash flow and bookkeeping, it’s clear your company’s success depends heavily on your ability to balance your finances and invest your assets wisely. So how to grow a small business? Every business venture is carries a certain degree of risk. That goes without saying. From you moment you put up a website or take on your first customer, you are vulnerable to a whole slew of external factors that are often beyond your control, like shifts in the economy, shortages in supply, and other unfavorable circumstances. Without a little risk, there can’t be any reward, right? But there are certainly tools our there for savvy business owners to significantly diminish their professional hazards. Large businesses have the luxury of dispersing these weighty missions throughout their task forces, which are generally comprised of accountants, sales and marketing experts, HR specialists, and an abundance of other employees who are trained in highly specific areas relevant to the success of a company. But what impacts the growth of small businesses? Small business owners have fewer hands to share the load and are thus required to wear many different hats in order to nurture and grow their establishments. Let’s look deeper into small business growth strategies and tools that can assist you. Prompting them, usually via email, to leave reviews on your Facebook page, Yelp profile, etc. Implementing incentives, like discounts for referring friends. The financial success of a company entails a whole lot more than just bringing in revenue. 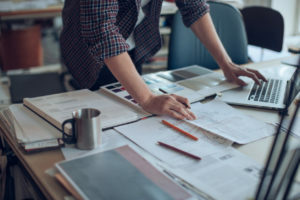 To foster growth for your small business, you need to stay one step ahead of your expenses and stay clear of the struggles with cash flow that business owners very commonly face. Hiring a financial advisor is one route, but in case you aren’t up for the expense, there are now plenty of resources out there that can aid you in controlling your cash flow, including simple, user-friendly software to manage your accounting, payroll, inventory, and more. You also have an array of options when it comes to quality invoicing services that send helpful reminders to your customers when payments are due. Take advantage of the tools at your disposal to prevent stunting your small business expansion on account of avoidable cash flow mismanagement. With so much on your plate, hiring help is often essential for growing your small business. That said, it’s costly and time consuming! Luckily, there are methods of cutting down the efforts you spend on finding the right talent to join your team. First off, you’ll want to write a job description that’s as clear and detailed as possible. Compiling a thorough list of all of your requirements will help to spare you the trouble of interviewing unsuitable applicants. Next, you’ll need to exercise some patience. Although it may seem like hiring one of the first candidates you’ve interviewed will save you a hassle and some valuable time, the truth is that you’re actually going to lose time if you need to micromanage under qualified employees. Waiting until the right individual comes along will ultimately save you a lot of headache down the line. Finally, you’re well aware that competing with larger companies for talent is tough, as they can usually offer salaries and benefits that are beyond your means. With businesses across the globe prioritizing employee satisfaction, it’s important for you to foster a warm and fulfilling work environment, in which your team members feel heard and valued. You need to be able to demonstrate the perks of your company culture when seeking new talent. No business, no matter the size, is immune to life’s curveballs. For a small business, however, unexpected events pose a greater risk. Though many of the mishaps that occur in business are beyond our control, we can set ourselves up to best absorb the blow when it comes to certain instances of human error. Whether you find yourself confronted with a sizeable medical bill after a client tripped over a piece of your equipment, or slapped with an expensive lawsuit for damage you caused, solid business insurance can help you come out the other side unscathed. Moreover, acquiring a liability insurance policy will open new doors for your company, demonstrating to potential clients that your enterprise is responsible, reliable, and conscientious. It will also help you to close deals with the many consumers that actually require their contractors to possess insurance and to show proof of insurance. Purchasing an insurance plan customized to your small business needs arms you with the confidence to pursue new leads and go about your work with peace of mind. A small company is a big responsibility, but there are strategic methods you can use to facilitate the small business growth and your success. It all comes down to identifying the key elements that can make or break a business, coming up with clear and feasible strategic growth plan for small business with which to approach each of those factors, and utilizing the bevy of resources at your disposal. Do that, and your small business will know no bounds.